If you’ve taken the pain to download and save your voicemails in your iPhone, I’m sure they must be really valuable. 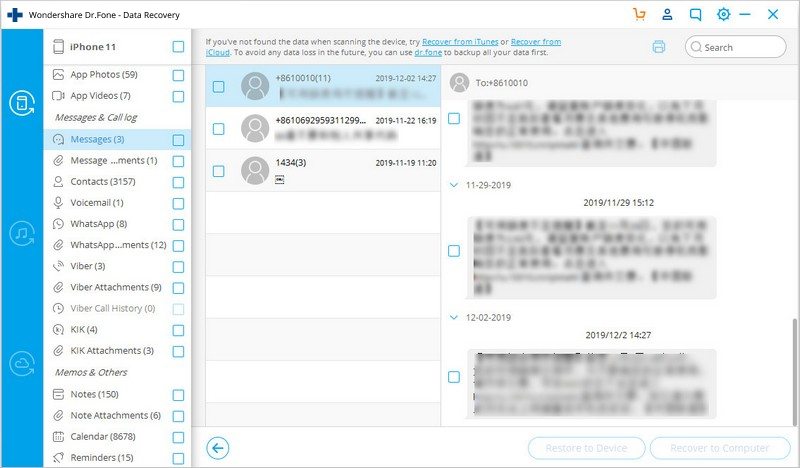 However, it is quite easy to lose valuable data from your iPhones, and in this case you would naturally wonder how to retrieve deleted voicemails. 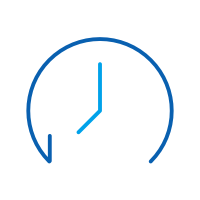 Voicemails are generally held by phone companies and kept in their servers for a fixed period of time, after which they are deleted. After this your voicemail becomes impossible to recover. However, some people pay for manageable voicemail so it can be saved to their iPhones. In this case the voicemails are downloaded and kept in your iPhone, so if you lose them, you can actually recover deleted voicemail. This article will describe all the different methods you could use to retrieve voicemail. You can use this method if you want to retrieve voicemail which has only recently been deleted. Go to Phone > Voicemail > Deleted Messages. 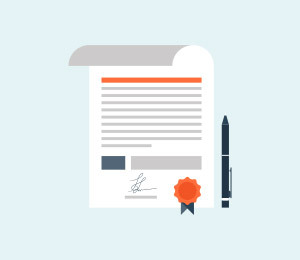 However, you need to keep in mind that this process will only work for a short duration of time. 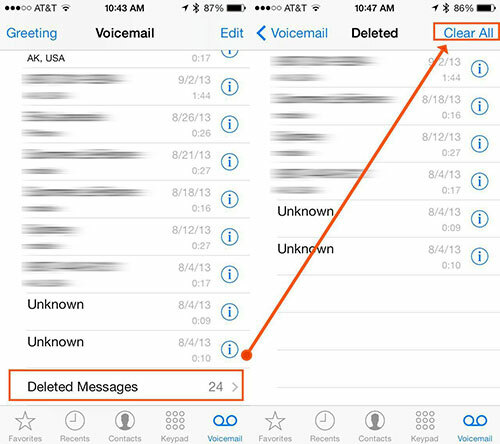 If you want to retrieve deleted voicemail after it’s permanently deleted, you can read on. dr.fone - Recover (iOS) is a software that has been rolled out by Wondershare, which has been received worldwide acclaim and has received acknowledgment from Forbes magazine several times. As such it is a completely reliable software with which you can gain access to all your deleted voicemails. 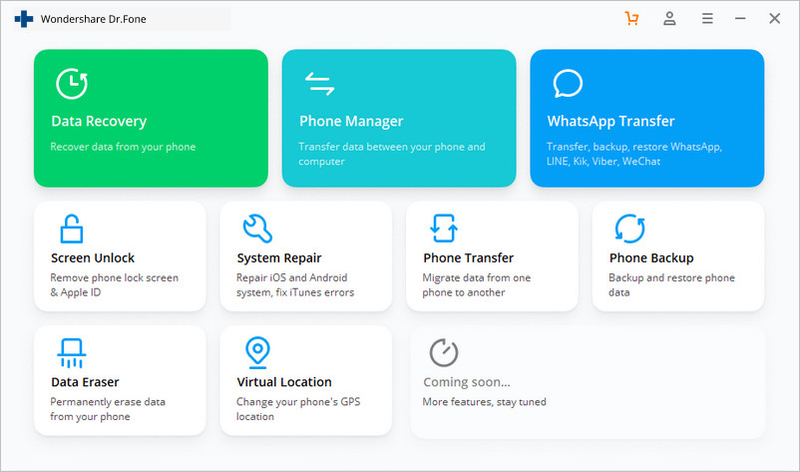 This software will provide you with a gallery of all your current and deleted voicemails and you can simply select the ones you want to restore, no hassles at all! 3 ways to recover data from iPhone. 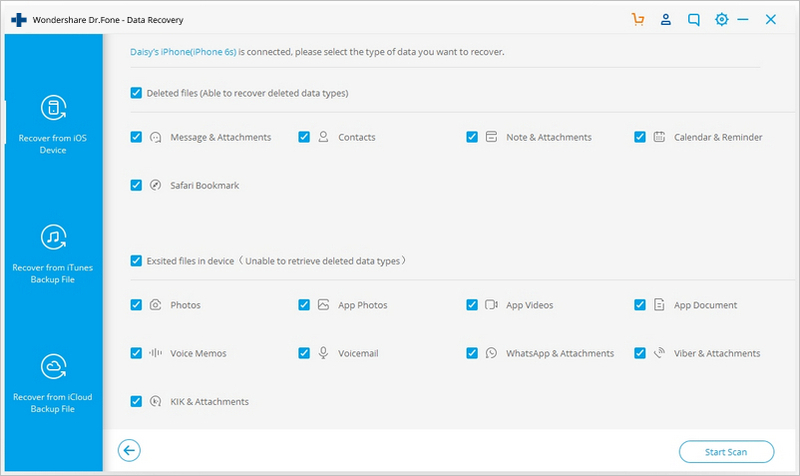 Recover data lost due to deletion, device loss, jailbreak, iOS update, system crash, etc. 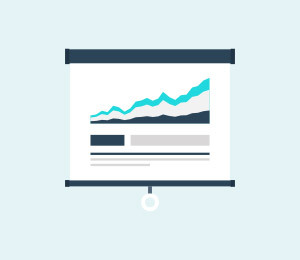 Trusted by millions of users around the world and has garnered rave reviews. • Method 1: Recover deleted voicemails directly from the iPhone. 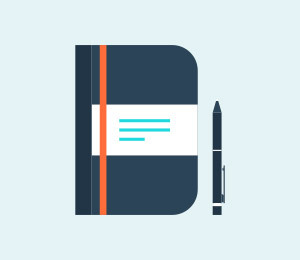 • Method 2: Recover deleted voicemails via iCloud backup. • Method 3: Recover deleted voicemails via iTunes backup. Method 1: Recover deleted voicemails directly from the iPhone. This method is ideal for those who don’t have a backup to the voicemail in either iCloud or iTunes. 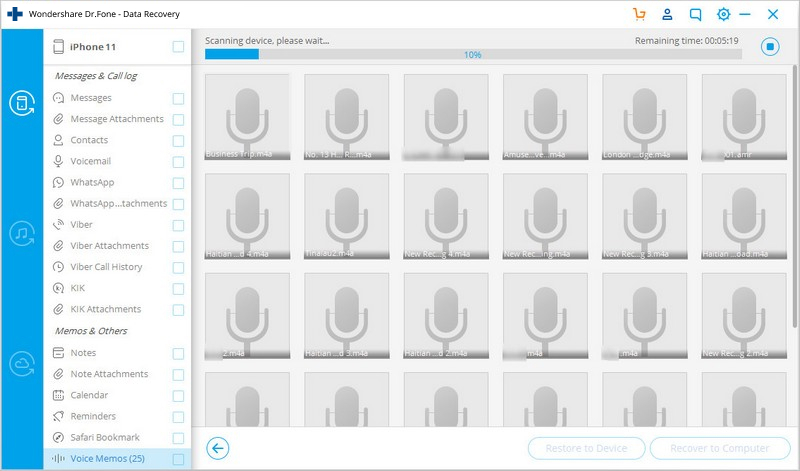 This process scans your iOS device and then displays all your deleted voicemail in a gallery. 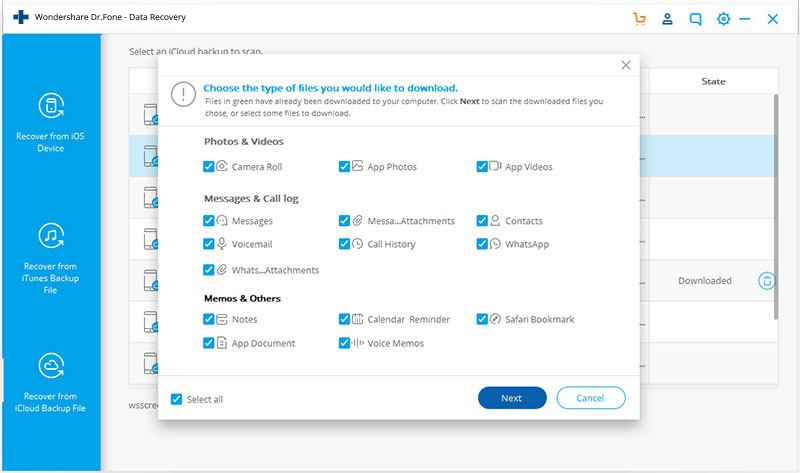 Access dr.fone on your computer and choose Recover from the features. Connect iPhone to computer via cable. Step 2. Recover from iOS Device. Step 4. 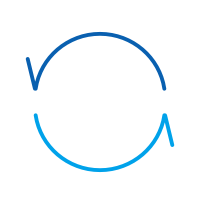 Retrieve deleted voicemail. Method 2: Recover deleted voicemails via iCloud backup. If you think you have the voicemails you need in your iCloud backup, you can go for this method. 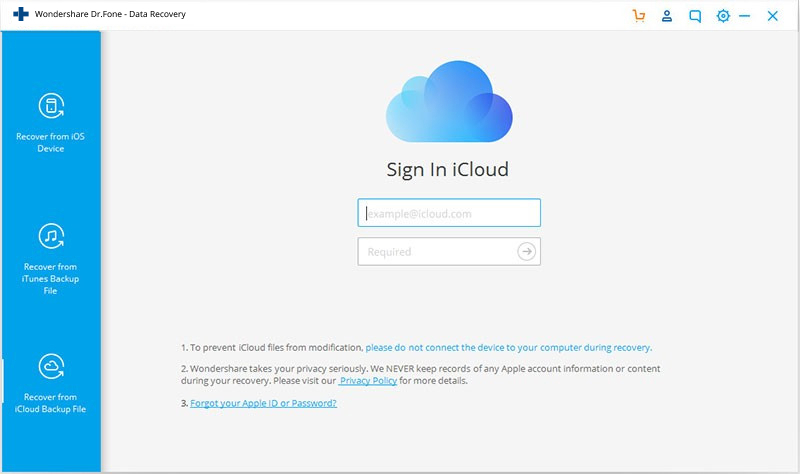 You might be wondering, “why not retrieve it directly from iCloud?” That’s because iCloud doesn’t allow you to individually access and restore files, so if you download the iCloud backup to your iPhone, you’ll lose all your present data. Using dr.fone as a medium to access your iCloud backup ensures that you can select only the voicemails you want to restore, and not everything else. Step 1. 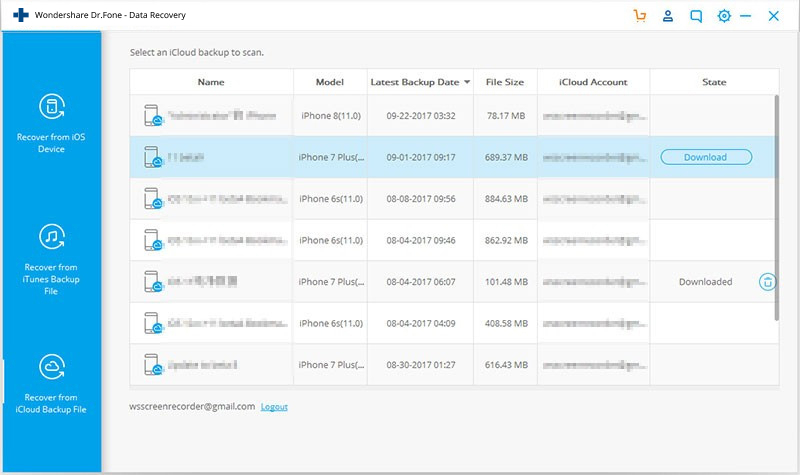 Recover from iCloud backup files. When faced with the recovery options, choose “Recover from iCloud backup files.” Enter you iCloud details. Step 2. Choose the backup you need. Step 3. Retrieve deleted voicemail. Method 3: Recover deleted voicemails via iTunes backup. If you’re someone who prefers to maintain their backups in iTunes then you’re in luck because dr.fone also serves as a great iTunes backup extractor. 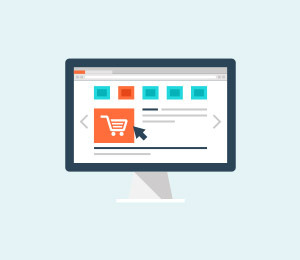 However, the problem with iTunes backup files is the same as that of iCloud, you can’t view them individually and recovering a backup means losing all your present data. So you can use dr.fone as a medium to access all the data in the iTunes backup files, and then selectively restore them. Step 1. Recover from iTunes Backup File. Step 2. Select the backup you want to access. 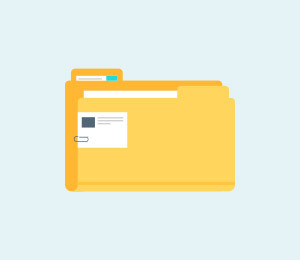 Go through the file size of all the backup files and their ‘latest backup date’ to determine which is the one you want to access. 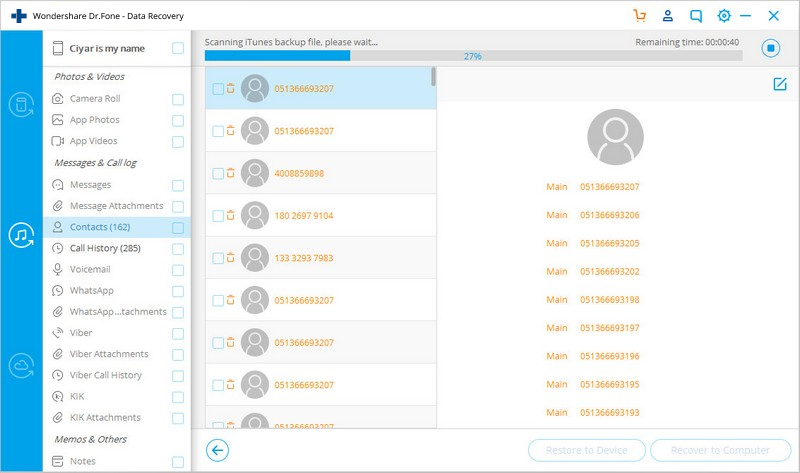 After you select the backup file, you can click ‘Start Scan’, and you can then delete iPhone backups if you want. 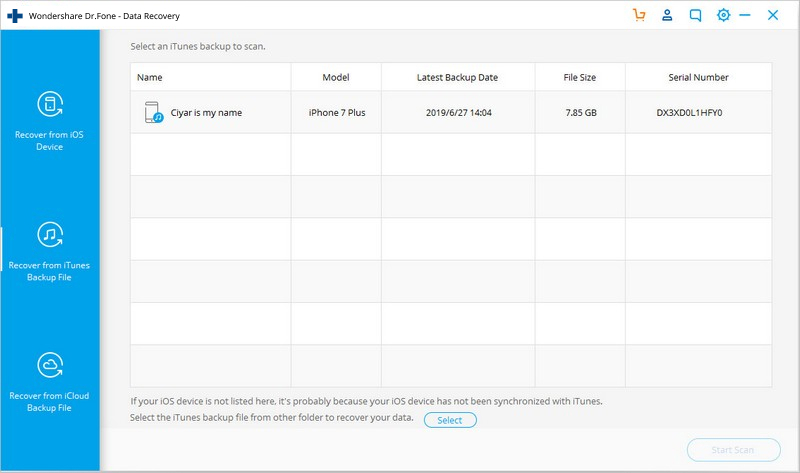 However, for Method 2 and Method 3 to work, you would need to backup iPhone either in iCloud or iTunes. So you can see that with these methods you can retrieve all deleted voicemails. First you should definitely see if you can retrieve them directly from the iPhone itself. 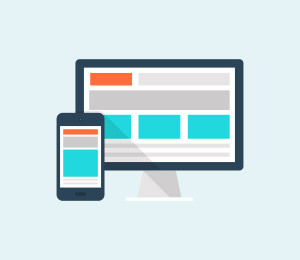 However, if they have been permanently deleted, then you’ll have to use dr.fone, and you can use any of the three methods based on whatever suits you best. Do let us know down in the comments whether this helped you out, we’d love to hear from you! Have you lost some of the Bookmarks on your iPhone? Here's how you can recover them. This article shows you a full guide on how to sync Thunderbird with iPhone easily. This article shows you 3 ways to recover iPhone calendar: recover iPhone calendar directly from your iPhone, iCloud backup and iTunes backup. Check in now! This article introduces how to setup call forwarding on iphone and top 5 iphone call forwarding apps.